After eight months of only one entrance at the Dupont Circle Metro Station, work to replace the three escalators at the south entrance is almost complete. Dupont Circle’s escalators have been among the least reliable in the Metrorail system. In July 2010, multiple escalator failures caused chaos, endangering thousands of commuters who had to walk the 291 steps to the surface with some people climbing over others to get aboveground. 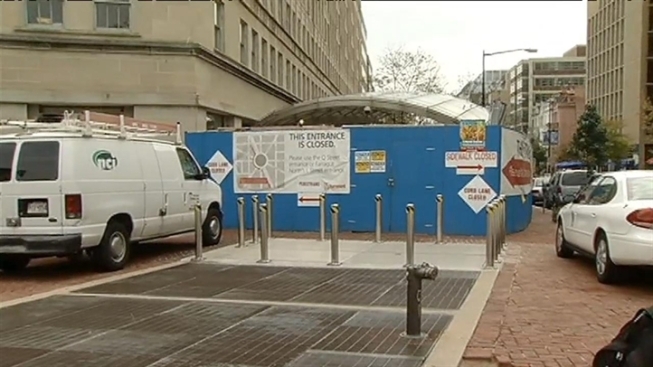 The south entrance at Connecticut Avenue and 19th Street closed for repairs Feb. 1, hurting business along 19th Street and proving to be an inconvenience for riders forced to walk further to and from the north entrance at Connecticut and Q. But when the north entrance escalators fail, as they did due to the rain Tuesday morning, Metro is forced to close the station and riders must walk even further to Farragut to catch a train. No date has been set for the reopening of the south entrance. Metro also plans to replace those unreliable north entrance escalators, but that entrance is expected to remain open during the work.